Much of Kashmir conflict is nothing but men and women running on treadmill whose surface is Chess patterned. Mill seems to be churning and running but no one going anywhere. Some old ideas churned over and over again. Chess pieces falling off the board....same positions refilled at same spot on the Tahreeki mill with new chess pieces (most of them children of fallen pieces). One of the more interesting movement on this stupid treadmill chessboard is that of Pakistan loving Kashmiri Pandits who had M.N. Roy as their ideological father. On the surface it seems nothing changed. But, if you look closely, you will find that when the design of the chessboard drastically changed in 1960, even some of their Pak loving pawn pieces saw the obvious darkness at the bottom of the ditch. Most of us drew our inspiration from philosophies like Radical Humanism, Socialism or even Gandhism. It is interesting to recall now that when we were supporting Pakistan's case in Kashmir on secular and humanistic grounds, Sheikh Abdullah was leading religious crowds in mosques and elsewhere in the name of Islam (but not communalism) as also of Kashmiri nationalism to accession to India. Now when our tribe has somewhat grown we do not feel happier in the new company and rather find that our real goal is further receding. Our opposition to India was not based on our love for the ideals on which Pakistan was founded. We were rather motivated by a democratic ideal in supporting what we considered was the wish of the majority. Secondly, we, particularly Hindus among us, were keen to rise above the interests of Hindu communalism and Indian nationalism." Yachu of Kashmir Socialist Party was the Publicity Secretary of Political Conference of Khawaja Ghulam Mohiuddin Qarra found in 1953, the first Pro-Pakistan camp in Kashmir. It had other Pandits like Raghunath Vaishnavi (who incidentally was the first one to petition against the Shiekh for failing to protect a Hindu temple in Srinagar), Badri Nath Koul, Prem Nath Jalali, Niranjan Nath Raina and Prem Nath Bazaz too. 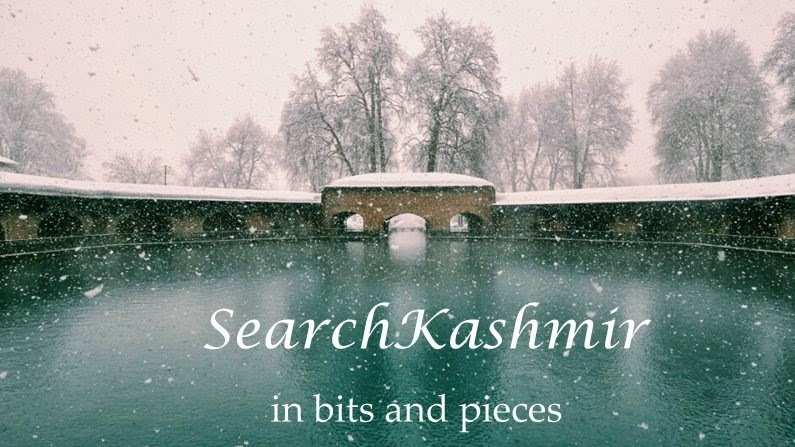 The extract is a piece by Shyam Lal Yachu titled "Rethinking in Pro-Pak Camp of Kashmir" from the book "The Story of Kashmir: Political development, terrorism, militancy and human rights, efforts towards peace, with chronology of major political events" (1995) ed. by Verinder Grover. The new age Bazaazs, Vaishnavis, Yachus, Bhans and Kauls living outside Kashmir now saying violent crowds at mosques is not communalism. Again reminding people that only Hindus are capable of rising above Hindu communalism and Indian nationalism. A muslim in a violent crowd cannot perform such feat of moral superiority. Tahreeki nepotists continue to sell violence as quest for democracy. "Rethinking in Pro-Pak Camp of Kashmir" in which Yachu recommended merger with India appeared in Kashmir Affairs 1960. 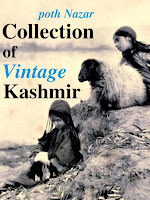 The reason for this turn is provided by Balraj Puri (Editor, Kashmir Affairs, first published in his magazine in 1960). It had to do with the nature of Pakistan and it's increasing isolation. "India's tough international line on Kashmir also had a demoralising effect on the secessionists. Krishna Menon declared in the Security Council debates in 1957 that Kashmir was as irrevocable a part of India as Madras and the Punjab. Pakistan's international prestige was at a low ebb. The merger of several linguistic states in West Pakistan into a single province and the imposition of martial law were not inspiring events for the Kashmiris. Sham Lal Yachu, publicity secretary of the Political Conference, the only professedly pro-Pakistan party of Kashmir, declared in a lengthy statement that serious rethinking had started in his camp. He spoke of the advantages of Kashmir's willingly becoming a part of India." Shyam Lai Yachu, born in Kashmir in 1929. He died in 1996 and like most of the people of his community, generation, cutting across ideologies, he died outside Kashmir, in exile. He died in Delhi at a relatives place, having never married. Kashmir based Tahreeki journal KashmirReader, did remember him, again in propagandistic manner, remembering him as champion of merger with Pakistan, conveniently forgetting the fact that he was one of the first Pandits of Pakistan camp who revolted when the true nature of Pakistan state became obvious. This is related to what you have posted. I'm doing some research on a news report in 1967, where apparently a Kashmiri Pandit girl was married off to a Muslim who worked as a cashier in a store. Before the wedding, the girl was converted to Islam at a ceremony. This angered the Kashmiri Pandit community, who reported that the girl was a minor and was forcibly converted to Islam. There was demonstrations by the Kashmiri Pandit community, with counter marches led by Kashmiri Muslims. Any ideas who was that girl and what happened to her. I read about this in the British Guardian newspaper from 26th August 1967 in the archives. I would love to know whether you know anything about this and where it happened?. If you want the original article of that source, I can give it to you. That is the famous Parmeshwari Handoo case. Ghulam Rasool Kanth was the man's name and Parveen Akhtar became her new name. Yes, there were demonstrations by pandits which were met with violence. Rumors were spread that pandits planned to bomb the mosques. Hindu Action Committee was headed by P.N. Ghassi , a Jan Sangh member close to Bakshi. Pandit Makhan Lal Aima “Harkara” of RSS was also there. Tika Lal Taploo was among the people who went to jail during agitation. Sanatan Dharm Yuvak Sabha at Sheetal Nath was the epic enter of protest under command of Pt. Shiv Narain Fotedhar. However, the protests eventually fizzled out as the agitation eventually became about issues like jobs and financial security etc..backend negotiations with Sadiq government (which was not as virulent as Sheikh's NC) and pressure from Y.B Chavan at center put an end to it. There is no current info. about the couple. I have a piece about it from Indian express archive. If possible do share the Guardian clipping. I have snipped the images of the Guardian article in 2 parts. The report from the Guardian was written by Inder Malhotra. I would say it wasn't a big article in the paper. I have no idea whether the Guardian used that article from the Indian Express, because a name like Inder Malhotra was not common in Britain, where in 1967, there weren't many Indians living in that country compared to now. Any ideas how I can send the article to you?